Next step for this entrepreneur after winning a lunch with Warren Buffett? Showing Him Up with Cryptocurrency! The wallpaper on his cell phone says it all: the third richest person in the world, Warren Buffett, is his hero. Although an ardent fan, Sam Ling and Mr. Buffett have different opinions about cryptocurrency. Grouped by category, market strategy, and capitalization, Ling is introducing the “BB Index,” a group of 26 cryptocurrencies. These cryptocurrencies range from a “Blockchain Top 50 ex top 20 Token Index,” which encompasses mid-cap assets, to a “Blockchain Top 7 Index,” which encompasses the largest cryptocurrencies. According to Ling, the 26 cryptocurrency group BB Indexes are updated every three minutes on its official website. As competition heats up in the cryptocurrency index arena, notable participants in the cryptocurrency index market are coming to the front. In March 2018, U.S. cryptocurrency market leader, Coinbase, announced the upcoming proposal of a weighted index fund to grant authorized U.S. investors access to crypto assets. Also in March, Bitwise Asset Management, self-proclaimed creator of the world’s first cryptoindex fund, HOLD 10, reported the fund now supports investment from self-directed IRAs. In early April, Crypto Fund, also headquartered in the U.S., announced it is accepting subscriptions starting at $10,000, for qualified investors, a tracker of its top cryptocurrencies (CCi30). The cryptocurrency index market is growing in Asia as well. The largest cryptocurrency exchange in South Korea, Upbit, announced Upbit Crypto Index, the country’s first domestic cryptocurrency. For Ling and BB Index, the competition could spell opportunity for the market. “Only with so many players launching cryptocurrency indexes together can we push the market to grow bigger as a whole. 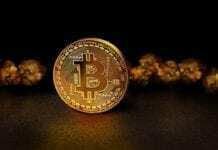 The entire cryptocurrency index will eventually become a $5 trillion market in 5 years,” said Ling. According to Ling, there may be opportunity in the future for cryptocurrency in China, but, currently, the regulatory policy is obviously not in favor of it. With an eye to the future, Ling said, “Warren Buffet just won a 10-year bet that an index fund would outperform a collection of hedge funds over that time. And I want to make a bet with him that my cryptocurrency index will outperform his portfolio over the same period.” Cryptocurrency investors worldwide hope Sam Ling wins his bet.